Jason is a professor in ecology at the University of Canterbury, New Zealand (UC webpage), and an adjunct Chair at Imperial College London at Silwood Park. He is also a principal investigator in the Bioprotection Research Centre. 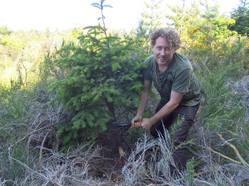 His research examines how communities of interacting species respond to environmental changes. In particular, he is interested in how the architecture of interaction networks (such as food webs or pollination networks) comes to exist, and how it responds to environmental drivers. He is also interested in the conditions under which biodiversity loss has the greatest impact on ecosystem functioning and services, and in searching for win-win scenarios to balance agricultural production and conservation. In some cases, this requires knowledge of how species traits and the local environment jointly shape the structure of interaction networks such as food webs, and how this structure affects processes at the entire community level. He addresses these questions using a variety of systems (plants, insect herbivores, parasitoid-host systems, plant-mycorrhizal associations) and approaches (field observations, field and lab experiments, meta-analysis). Our group meets jointly with Daniel Stouffer's lab group at UC. Hsi-Cheng has a background in behavioural ecology, having completed his Masters at National Taiwan University. His PhD research is examining how foraging behaviour influences the architecture of food webs. He is jointly supervised with Samraat Pawar and based at Silwood Park. Mark has a background in avian ecology and conservation. He recently finished his MSc at Kansas State, where he studied landscape ecology of declining grassland birds (see one of his papers from that work here). His PhD research focuses on population dynamics and management of waterfowl. Hannah is working on predicting species interactions in the context of biological control introductions. She is using traits and phylogenies to help improve risk assessment tools for new biocontrol agents. Warwick recently completed his PhD at Louisiana State University where he examined the role of plant genetics and plasticity, biogeography, and species interactions in driving plant invasions at large spatial scales. His postdoctoral research will investigate how the structure of multitrophic species interaction networks can influence the success of invasive plants and arthropods, and how native communities respond to these invasions. He is located within the Bioprotection Centre at Lincoln. Paula is interested in answering ecological, conservation and resource management questions applying quantitative techniques. She did her Ph.D working at the Fagan Lab where theoretical models and quantitative methods are used in very different projects in ecology and conservation. 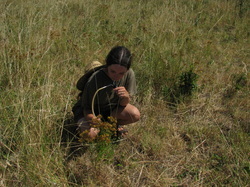 Her project addressed different techniques to study biodiversity in remote environments. Previously to come to New Zealand, Paula worked briefly at the British Antarctic Survey trying to map the floral diversity of the Antarctic Peninsula. 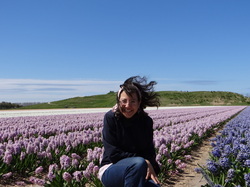 Here she is working on understanding rapid evolutionary processes in biological control systems in New Zealand pastures. Lupe worked for her PhD on spatial and temporal dynamics of parasitoid-host food webs in native and plantation forests. She related the structure of parasitoid-host food webs (i.e. trophic complementarity) to functional outcomes in the form of herbivore suppression. After completing a postdoc with Diego Vazquez, we're lucky to have her back in our group doing a postdoc on predicting interaction networks. You can find her own webpage here. Jono has returned to NZ after 6 years overseas (China, Germany, USA) to work with Jason and Ian Dickie on above- and below-ground ecological networks. Jono has a background in community and metacommunity ecology, and has recently been developing mechanistic models to predict whole community responses to uncertain environmental futures (e.g. here). Find more about Jono here. Contact email: jdtonkin[at]gmail.com. Etienne studied the direct and indirect impacts of different components of land-use intensification on biodiversity and ecosystem multifunctionality in grasslands. He is now an Associate Professor at Université de Montréal & Adjunct Senior Lecturer at the University of Western Australia, and won the 2016 Tansley Medal. You can find him here. Claudio's PhD examined how the interactive effects of climate change and nitrogen deposition alter parasitoid-host community composition and food-web interactions. 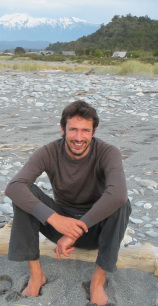 He did his MSc in Zurich, and he is now based at the Swiss Federal Office for the Environment (FOEN). Scott's PhD partitioned autotrophic and heterotrophic soil respiration to quantify soil carbon-atmosphere feedbacks under climate change. He also developed a model for net ecosystem exchange of carbon in tussock grasslands. He went on to a postdoc at the University of Florida, and now has a position at Manaaki Whenua - Landcare Research (find him here). Ceci did her PhD research on how climate change (drought and warming) affect predator-prey interactions in a biological control context. 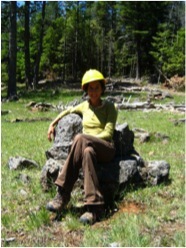 She had previously studied at Berkeley, and is now based at Scion (a government forestry research institute). 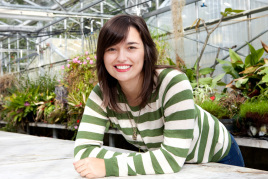 Shelley has a background in pollinator behaviour and ecology. Her postdoc in our group looked at the interactive effects of multiple environmental change drivers on plant-pollinator interactions. She is now at Lethbridge Research Centre, Alberta Agriculture. Find her here. Maria Luisa has worked extensively with cavity-nesting bees and wasps, and she is now a Professor at the Universidade Estadual do Centro-Oeste, Brasil. Find her here. Simon's masters research examined how declining numbers of honeybees affect communities of other pollinators and the pollination success of crop and weed species. For her PhD, Liz measured the effects of land-use intensification on multitrophic communities in natural forest remnants. She worked jointly with Raphael Didham at UWA, and came from the UK to measure cross-system subsidies in NZ. Christie's masters thesis explored spatial associations among pollinator networks. She is now a Biosecurity Response Advisor for the Ministry of Primary Industries. Stinus is a Marie Curie Fellow doing a postdoc in bioinformatics in collaboration with Anthony Poole and Paul Gardner (UC). He has worked previously on an ancient human genome and Aboriginal Australian genome, and on the Rfam database. 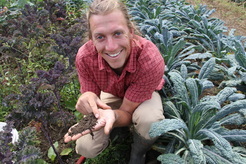 His current project is using metagenomic and metatranscriptomic approaches to understand the effects of climate change on soil microbial communities. 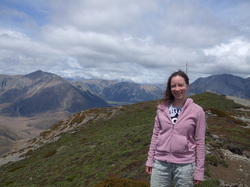 Michelle's masters thesis tested how species interactions in human-modified environments affect the future persistence of two native New Zealand tree daisy species and their associated moth herbivore species. Karen is a community ecologist interested in relationships between above and belowground communities and how these interactions impact ecosystems. Her background is in utilizing molecular techniques to characterize and quantify soil microbial diversity. She worked on plant-microbe linkages in the Cass experiment, and is now doing a postdoc in Angela Douglas' lab at Cornell. Marilia was a visiting Phd student from Brazil (in the group of Paulo Guimaraes Jr) and she's interested in understanding the ecological and evolutionary consequences of cascading effects in mutualistic networks. While here, she worked on extinction cascades in mutualistic networks. Her webpage is here. Johanna's background is in conservation biology and spatial ecology. She did a Master of International Nature Conservation at Georg-August-Universität Göttingen (Germany) and Lincoln University (New Zealand). Prior to that, she did a B.Sc. in Nature Conservation and Landscape Planning at Anhalt University of Applied Sciences (Germany). While in our group she looked at spatial aspects of networks, and she has also worked on species distribution modelling (journal). 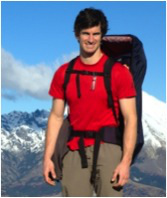 Matt is a PhD candidate at Washington State University in Pullman, WA, USA. For his dissertation, he is examining how coprophage biodiversity (dung beetles, flies, and soil microbes) contributes to natural human pathogen suppression in vegetable agriculture. He visited the Tylianakis lab on a Fulbright Fellowship for a year in 2016 to study the ecological implications of exotic dung beetle introductions in NZ. Zane took a trait-based approach to studying plant communities in novel ecosystems, focusing on grasslands as a model system. For her Masters, Sophie studied functional aspects of restoration, using analyses of species traits from existing data. 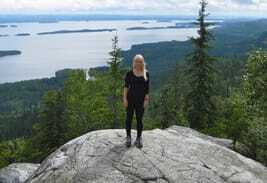 Johanna has worked previously at the Stockholm Resilience Centre, and has joined our group to work on tipping points in social-ecological systems. Her work was part of the New Zealand's Biological Heritage National Science Challenge. Before joining our group she worked on social-ecological systems relating to fisheries (for example this).